Soneva is set to welcome two former Swedish tennis pros and one former Australian tennis pro to Soneva Fushi and Soneva Jani during the festive season to offer guests one-on-one coaching sessions and friendly matches. The first, Thomas Johansson, was at Soneva Fushi from October 24 to November 3, with Jonas Björkman following from December 18-27. Later in the month, Soneva Jani welcomes Todd Woodbridge from December 18-24. Their visits to Soneva’s resorts in the Maldives are part of the world-leading luxury resort operator’s Festival of Colour, a year-long campaign that celebrates Soneva’s diverse array of visiting chefs, artists, athletes, wellness practitioners and more across all of its resorts. In February, Soneva launched its first ever year-long campaign known as the ‘Festival of Colour’ to celebrate the diverse array of guest activities and experiences on offer this year. Soneva has confirmed a huge line-up of visiting experts, including Michelin starred chefs, authors, wine producers, world champion free divers, astronomers, artists, wellness practitioners, tennis coaches and much more across all of its resorts. Soneva’s Festival of Colour runs from February 2018 to February 2019. 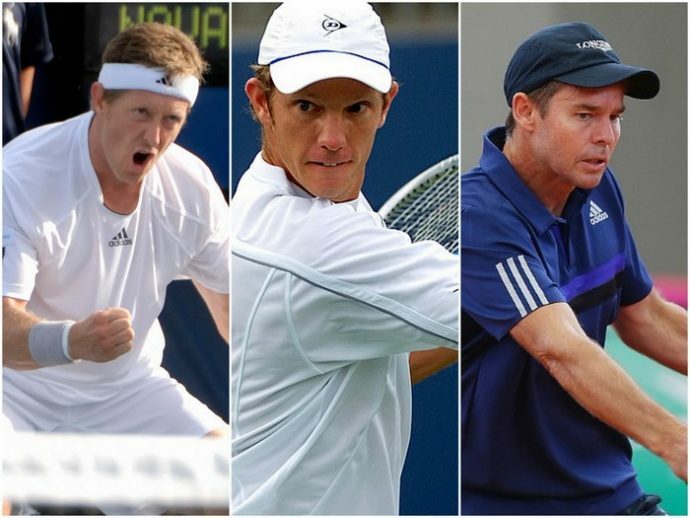 Main photo (from right to left): Todd Woodbridge, Thomas Johansson and Jonas Björkman.